Super spacer technology is the latest in glass spacers. 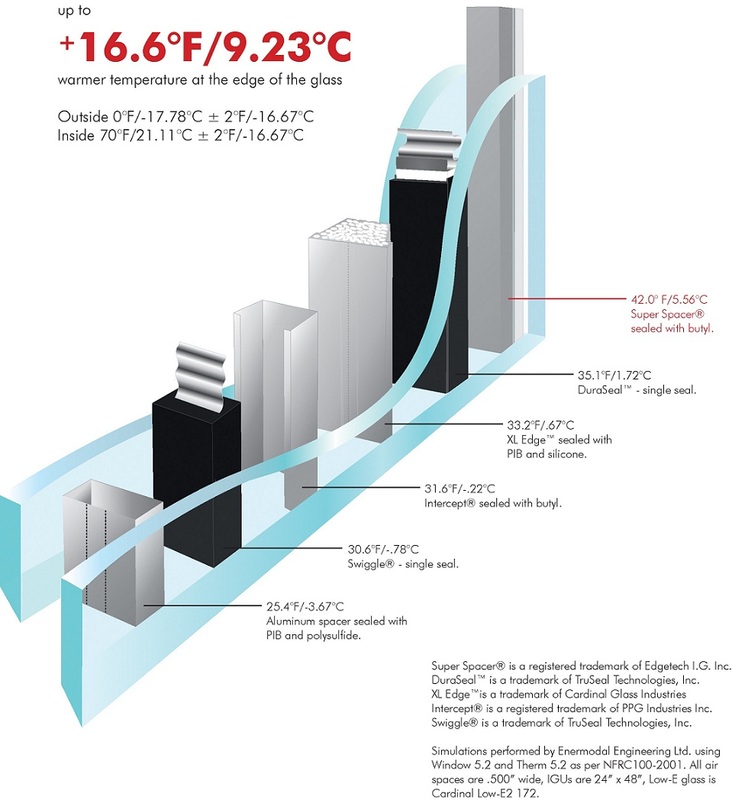 It is a non-metal spacer system that expands and contracts with temperature changes which means less chance of moisture being able to get between your glass and less chance of any gas inside such as Argon gas being able to escape. Also since it is a non-metal spacer it does not conduct hot and cold like traditional spacers meaning that the inside edges of your glass are just as efficient as the whole window. Many companies still sell new windows that are made with the same technology as 20 years ago. Don’t waste your money on outdated technology. 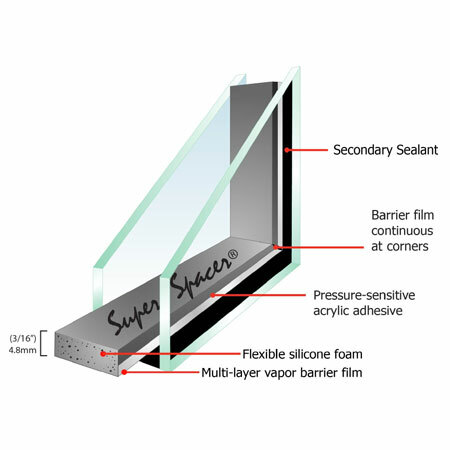 A spacer system is the material that ensures that 2 or more panes of glass remain stationary and that no foreign material or moisture is able to get in or out of the sealed chamber. Why Do Some Windows Get Foggy? Fogginess between 2 or more panes of glass is commonly called seal failure. It often happens when fluctuations in the outside temperature cause the glass unit to expand and contract often if the seal material is unable to expand and contract at the same rate as the glass then moisture is able to enter into the sealed chamber causing a cloudy appearance between the glass. Super spacers offer a difference in performance you can really feel! © 2019 Vinyl Design Corporation | Designed by MJI Marketing.